Two passengers fought over a device stopping a seat from reclining caused the plane they were in, a United Airlines flight to make an emergency landing. 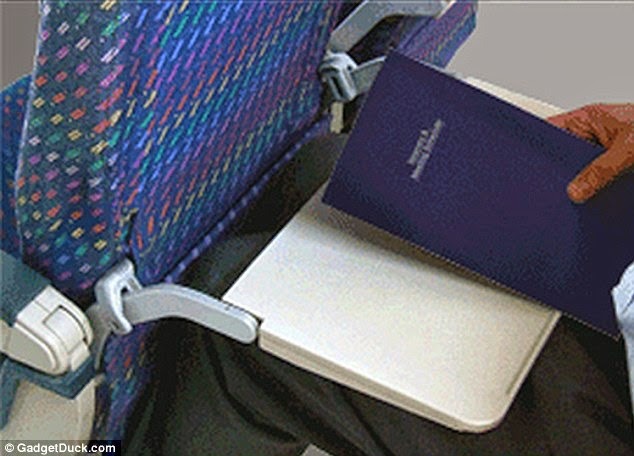 A man seated behind one woman allegedly used the $21.95 Knee Defender device which is attached to the man’s tray table to stop her reclining her seat. It led to a very tense heated argument that the pilot made an emergency landing in Chicago on Sunday where the two passengers, both 48, were arrested. On a narration of a law enforcement official with knowledge of situation on a request for anonymity, the fight started when the male passenger in a middle seat of row 12 used the Knee Defender while he was on his laptop. The flight attendant near the row asked him to remove the device but to no avail. It was then that the woman in front of him stood up and threw a cup of water at him. Because of the dispute, the United Flight 1462 from Newark, New Jersey to Denver decided to divert to Chicago’s O’Hare International Airport. The supposedly four-hour flight became an hour and 38 minutes late, according to Ross Feinstein, a spokesman from Transportation Security Administration. The Federal Aviation Administration leaves it up to each air lines regarding the rules they set about the controversial devices. United Airlines have said that like all major U.S. airlines, it prohibits the use of the device. Spirit Airlines and Allegiant Air took the reclining mechanisms out of their seats, leaving them permanently upright. The FDA can impose a civil fine of up to $25,000 for passengers who create ruckus or who are unruly during the flight. Gregg Cunningham, the airport spokesman said that no arrest was made in this case. On their arrival in Chicago, Chicago Police and TSA officers met the flight, talked to the passengers and “deemed it as a customer service issue,” reported Feinstein. The plane then continued to Denver without the two, as posted on the airline’s website. The TSA refused to name the passengers involved in the petty quarrel. It was said, however, that both passengers were sitting in United’s Economy Plus Section, the part of the plane advertising four more inches of legroom than the rest of the coach. The length of the result of being denied for a bit of personal space proved that it can be too extensive.